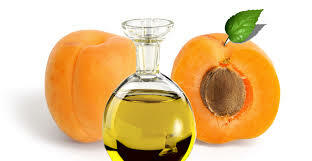 Apricot kernel oil is used to heal multiple skin problems. Its ability to absorb and hydrate skin quickly makes it ideal to heal any type of dry skin. The Omega-6 gamma-linolenic acid in apricot kernel oil helps nourish and heal skin. Vitamin A and C in it help encourage cell regeneration. Avocado oil has a lot of vitamin A and E that encourage healing. It also contains collagen-boosting plant sterolins, which counteracts the effects of aging. Avocado oil is, however, thick so you can’t go out with it on. For best results, use it at night. Cypress oil improves circulation, which nourishes skin. The result is a stronger skin that reduces the visibility of varicose veins and broken capillaries. The antioxidants found in pomegranate seed oil slow the aging process by reducing free radical damage. It also nourishes the skin, enhancing elasticity and helping cell regeneration. pomegranate seed oil can also be used to treat dry, irritated or damaged skin. Frankincense essential oil is an antibacterial and anti-inflammatory, meaning that it is an excellent treatment for acne. It protects existing cells while increasing the production of new cells. The result of this is a tighter skin that causes wrinkles to disappear. This cell production helps soothe dry and chapped skin. Sandalwood oil helps smooth lines and wrinkles. It also causes scars to fade and soothes irritated skin. Rose essential oil stops water loss, resulting in water-rich skin that reduces the effects of psoriasis and dermatitis. It also has therapeutic compounds that help heal inflamed skin. In addition to applying rose essential oil, inhaling it reduces the stress hormone (cortisol). Less stress means less frown wrinkles, so make sure to sniff your rose essential oil before you apply it! Sweet almond’s ability to regenerate skin and increase circulation comes from its high concentration of vitamin E and K. It is also an odorless UV blocker, making it the perfect sunblock. Organic virgin coconut oil can be used for everything from cooking to skin care and is one of the newest “health fads.” Organic virgin coconut oil’s antioxidants help it heal damaged skin and reduces free radical damage. It can also reduce the appearance of cellulite, stretch marks and keratosis pilaris (chicken skin). This entry was posted in Alternative Medicine, E Patient Health Care, Herbs, Home Remedies Series, Introducing, Lifestyle Health, Longevity, Vitamins - Supplements and tagged Apricot Kernel Oil, avocado oil, Cypress Oil, E-Patient Healthcare, For Skin Care, Frankincense Essential Oil, National Telemedicine Foundation, NTF, Organic Virgin Coconut Oil, Pomegranate Seed Oil, rose essential oil, Sandalwood Oil, sweet almond oil, Tea Tree Essential Oil, telemedicine, Top 10 Essential Oils by Admin. Bookmark the permalink.